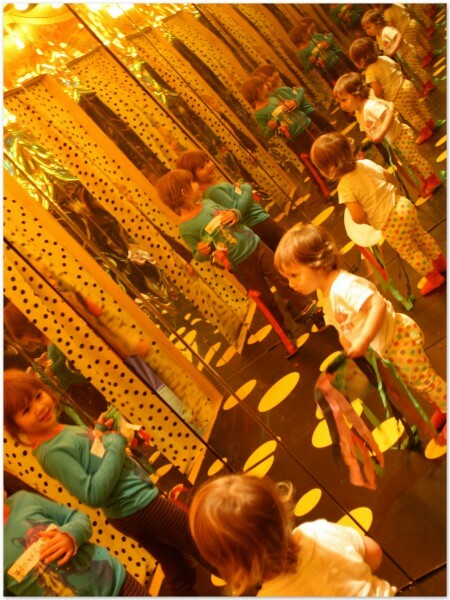 It’s spring school holidays here in Wellington and ‘Capital E‘ is always high on our list of ‘must do’ activities, with theatre, workshops, crafts and wonderful spaces to delight the senses. 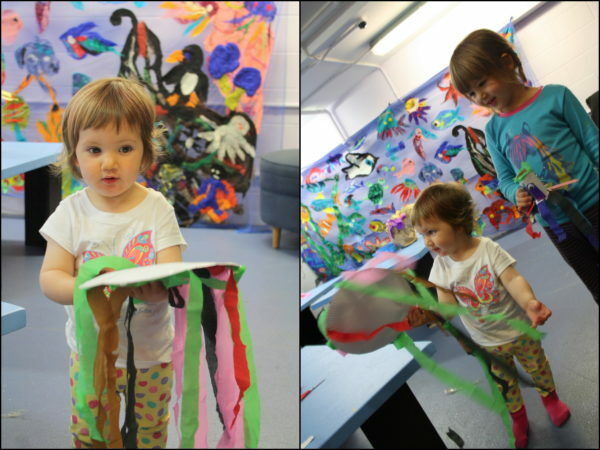 We didn’t make it to the theatre today, but did make a couple of wonderful ‘Fishy Friends’ – before going on to visit a very ‘Curious Wonderland’! 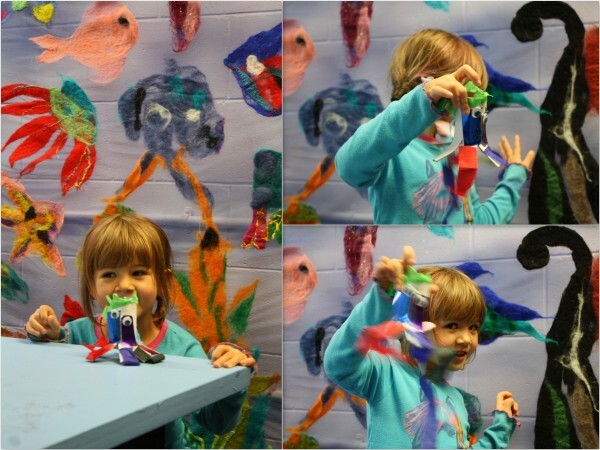 Meanwhile, Charlotte was busy enjoying the world of animation, at a Capital E workshop. She loved it! So whilst we thought of Charlotte, creating her own imaginary world and characters, Sophie, Alice and I slipped down a rabbit hole to a ‘Curious Wonderland‘, where our names were spelt backwards and we decorated our own little ‘Unbirthday cakes’! 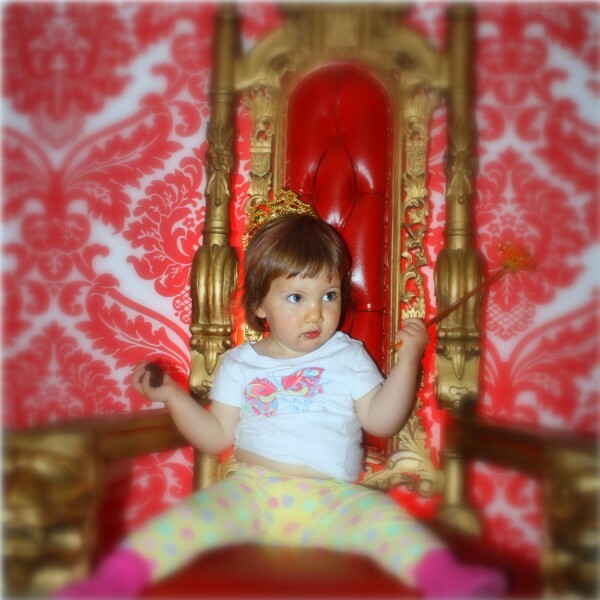 Alice finished eating her cake whilst sitting in the Queen of Hearts throne and telling us all how we ought to behave (displaying such elegant style and posture)! 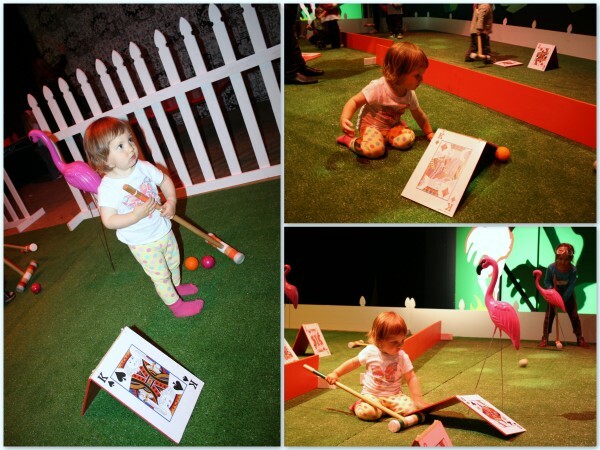 We played flamingo croquet, where no one minded the roaming toddlers adding an extra challenge to the game. 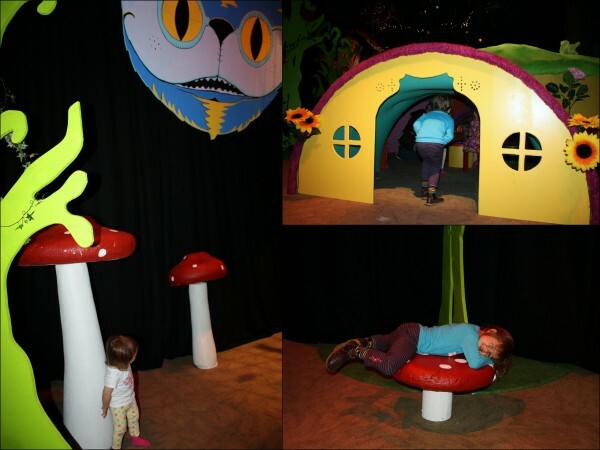 And found ourselves shrinking in size as we encountered giant toadstools and a cheshire cat. Soon after we entered a little house on our hands and knees, feeling like giants. 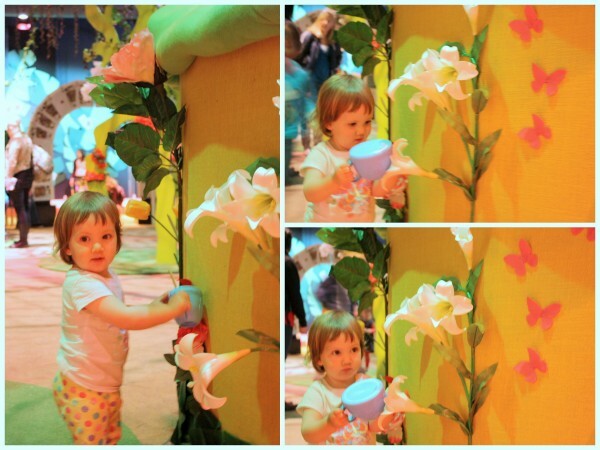 Alice was captivated with the magical flowers in the ‘Wonderland Wood’ and watered them with her magic touch. 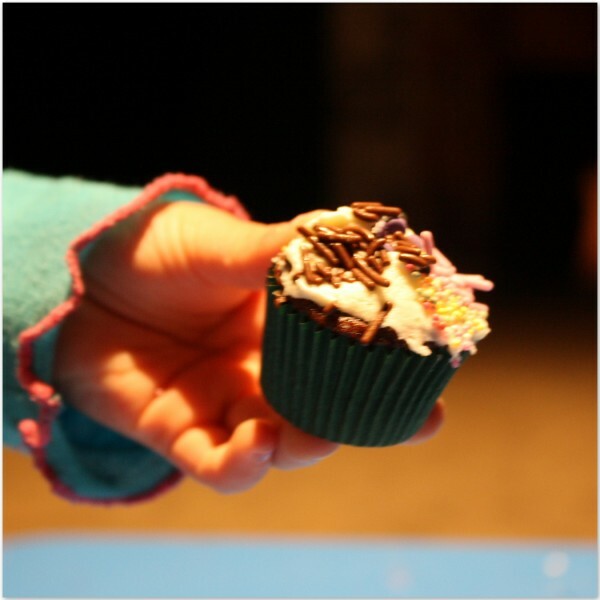 And I skipped around like a big child, totally enthralled and giddy with the wonder of it all (I may have over done it with the sprinkles on my ‘Unbirthday Cake’! 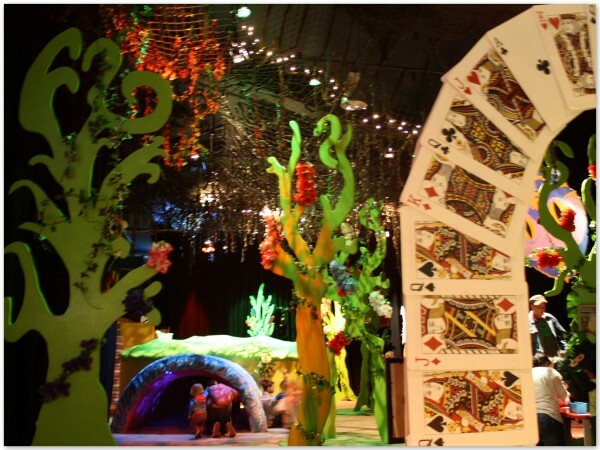 If you are reading this and in Wellington with young children, then head along to ‘A Curious Wonderland‘! 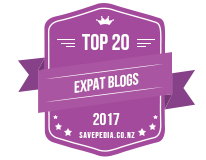 (This is a totally unsponsored post, I just LOVE Capital E and think the staff there are creative wizards!). Price: $6 (under 2’s free) $12 includes Give It A Try! Alice, Charlotte, Sarah, School hols, Sophie Capital E, crafts, school holidays, Wellington. permalink.